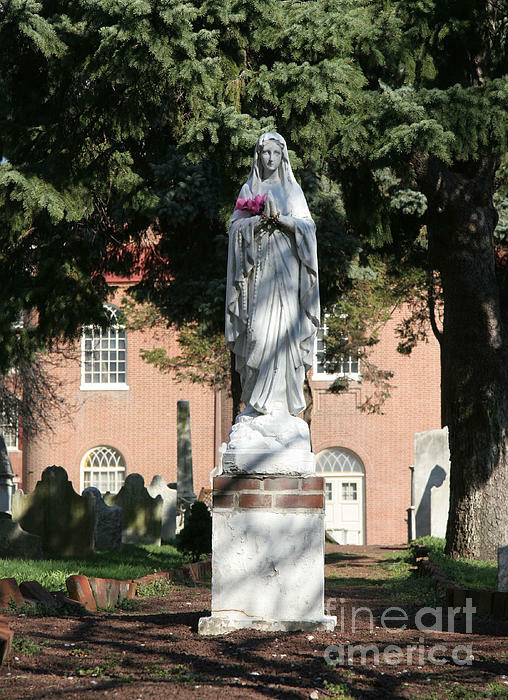 There are no comments for Guardian Of The Cemetery . Click here to post the first comment. 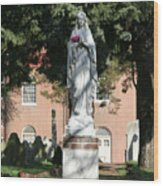 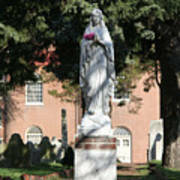 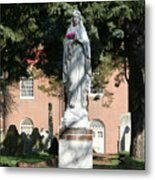 A statue of the Virgin Mary carries fresh Magnolia blossoms in the cemetery of Old Saint Mary's Church in Philadelphia.